As the song goes, Christmas is indeed "the most wonderful time of the year" for Advertising and Marketing. At least for those Creative Teams fortunate enough to work with visionary clients that ask for more. For Intelligent Brands, December is a season like none other. The Prize? To leave a positive, indelible mark in the hearts of millions. However, the overwhelming saturation and noise challenge the very brightest of Strategists. And truly gift us all with a message nearly as powerful as the Original Story. Sappy, sentimental tear-jerkers might first coax a tear, yet fall flat the second time seen. Burdened by the stress of family expectations, traffic snarls and overbooking on commitments, any insincere, wannabe moral messages bounce right off our Personal Cyberspheres. What's worse: they can turn into a very expensive form of Anti-Marketing. 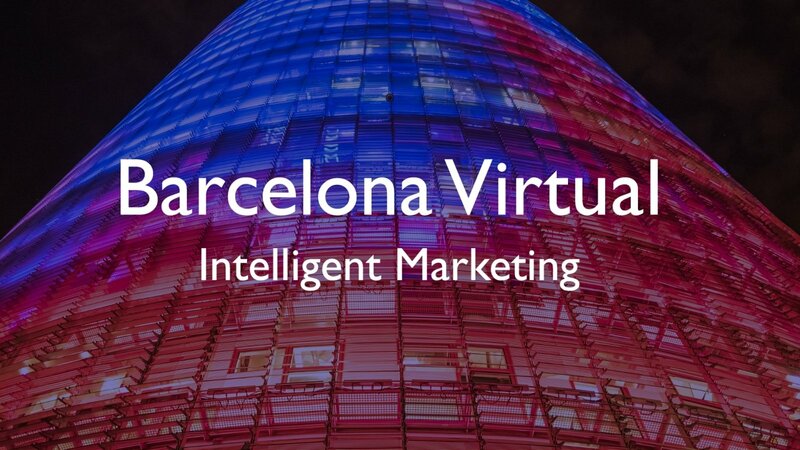 Millions of Euros are lost on trite, superficial campaigns that don't connect, the most unintelligent Marketing there is. With that said, we thought you'd like our following, short set of guidelines. Be Original: Avoid pitfalls listed above. Know your audience, speak sincerely and directly to them. Magic Mirror: You'll truly connect when your viewers see themselves in your "Mirror"
Let's take a look at some of the best Christmas adverts we have seen here in Europe, all of which respond brilliantly to our Briefing. As you'll see, they go far beyond Emotional Intelligence to make us laugh, cry, think and change. In this compelling spot by Spanish winery Ruavieja, a very personal calculation is made for a series of good friends. Each pair is deftly shown how little time is truly left for them to share together. Instead of ending on a negative note, the brand gently reminds us all to "see each other more often". Viewers are invited to their web (in Spanish) where they can receive their own calculation. Not exactly your typical Ho! Ho! Ho! The 2018 Sainsbury's Christmas does not disappoint! It literally puts us in the front rows of a childrens' holiday pageant. We join in the celebration of "The Big Night" for a diminutive singer, whose mother transmits all of her love and confidence to her daughter with loving gazes. Many of us can see ourselves in the grocery giant's "Magic Mirror". The Yuletide advert of British retailer, John Lewis is highly-awaited each year in the United Kingdom. This year, they combine the intimate ballad "Your Song" of pop legend, Sir Elton John, with a re-wound version of his life that takes us right back to his childhood. Not only are many of us transported by memories from our own lives by his song: we discover his humble beginnings and are touched by the loving gift he received from his single mother. A gift that started it all. One of the most powerful "connectors" can be found in the identification of the current Zeitgeist, or "spirit of the age" of a given generation. A message that taps into these (often) subliminal hopes, fears and aspirations can be very powerful. 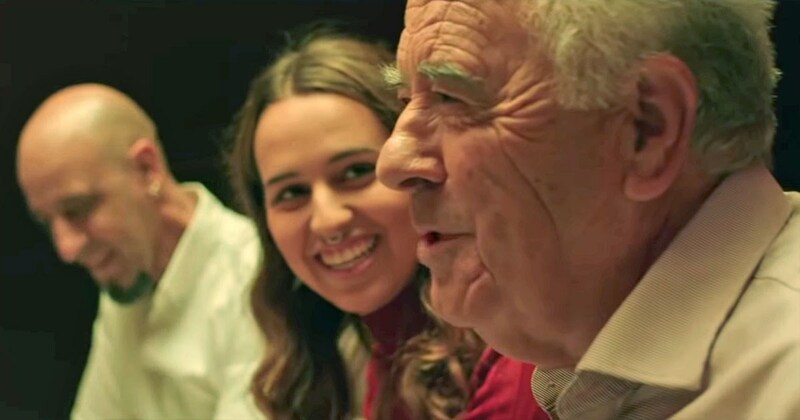 A wise understanding and application of Zeitgeist can be found in the IKEA Christmas spot in Spain. Families are gathered to compete in a game show format that begins with questions about Social Media and Digital Lifestyle. Those who answer incorrectly are asked to leave the Christmas Table. Things take a sudden, surprising turn for all of them when the announcer changes the types of questions he asks. The families discover that real life is much better than a simulation. "We will cease our activity on Social Media from 24 December to 1 January." Whilst IKEA Spain joins Ruavieja in its critique of unrestrained use of mobile phones and digital media, in Germany Samsung's holiday campaign features its technology (in a more predictable "Product-As-Hero" manner) as the nexus for all families separated by large distances. Yet the advert redeems itself at the end with a surprising use of IoT, the "Internet of Things", from a surprising place! Linking the Christmas message of your Brand to an infamous world war is not exactly what most of us would propose to our clients! Yet that is exactly what AMV BBDO did, the agency that authored the now famous holiday spot of UK grocery chain, Sainsbury's. In 2014, they drew viewers' attention to a little-known historical fact: the Christmas Fraternisation between German and British soldiers in December, 1914. The unexpected focus of the Christian message of "Peace on Earth, good will to Men", is masterfully brought to life in these poignant scenes, where young men temporarily abandon war to celebrate the birth of Christ, singing "Silent Night" / "Stille Nacht" and playing football together. An unforeseen combination of life and death, fear and hope. Unforgettable. Zeitgeist meets expert Storytelling: In this engaging Christmas ad from 2017 of German retailer, Edeka, we are ushered into a distopian future, where human beings have fled the cities and robots powered by AI, Artificial Intelligence. A lonely droid discovers the idea of Christmas in an old theatre, fails to recreate it on his own and sets off to find its true magic. Spoiler Alert: as Edeka's tagline at the end reminds us, Without Love, It's Just A Party. Do you have a favourite European Christmas spot this year? Please share the link with us all in the COMMENTS section below.